Four constantly changing underwater scenes, from shallow coral reef waters to colorful deep sea environments. 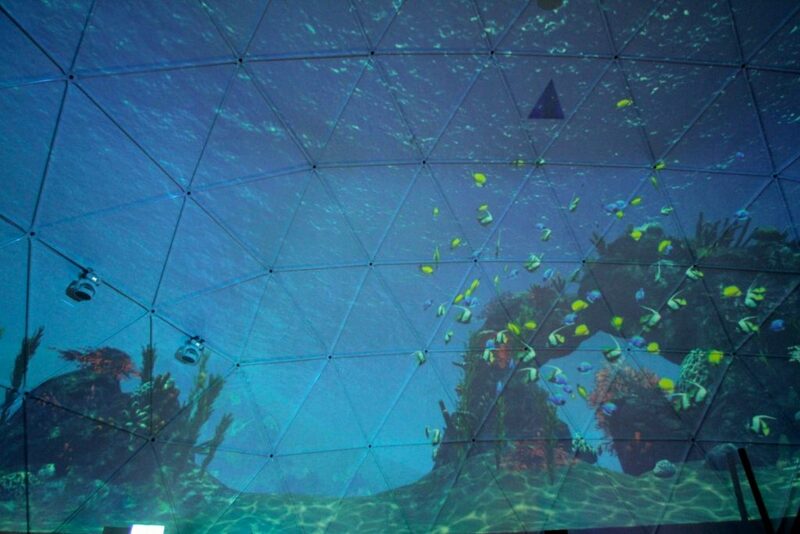 Generated in real-time with a resolution of two times 4k, visitors were invited to discover the beauty and diversity of our oceans. 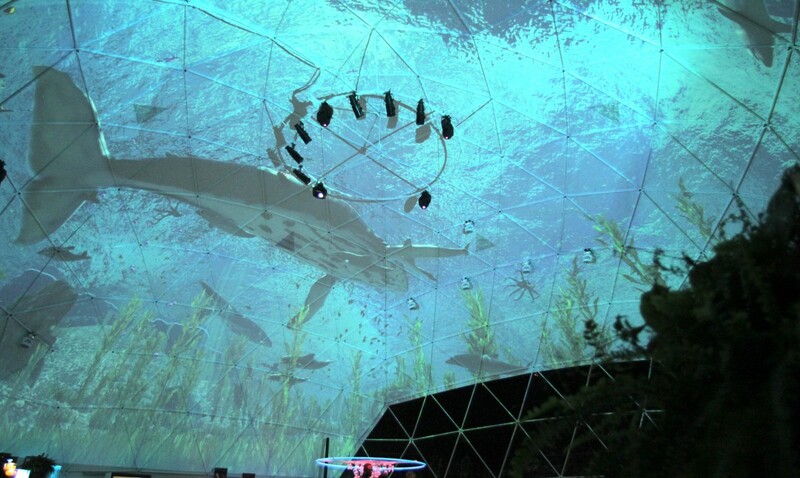 Projektil collaborated with Live Lab to create this immersive experience, projected onto a 28 meter wide dome in the middle of Davos, Switzerland. For this project I created a custom flocking simulation system as well as custom animation shaders in order to be able to simulate thousands of fishes in real time.